For sale! Is a monthly feature on Automotive Views focusing on cars available for purchase in Europe. None of the ads featured are selected due to any kind of sponsorship by the sellers. You’d be pressed to find a fancier, more glamorous coupe than the 300 S. These were the undisputed kings of Mercedes’ lineup back in the early and mid fifties. Hand built, exquisite in every detail, it’s not surprising that production numbers for the 300 S are very low with little over 300 coupes and 400 roadsters built. 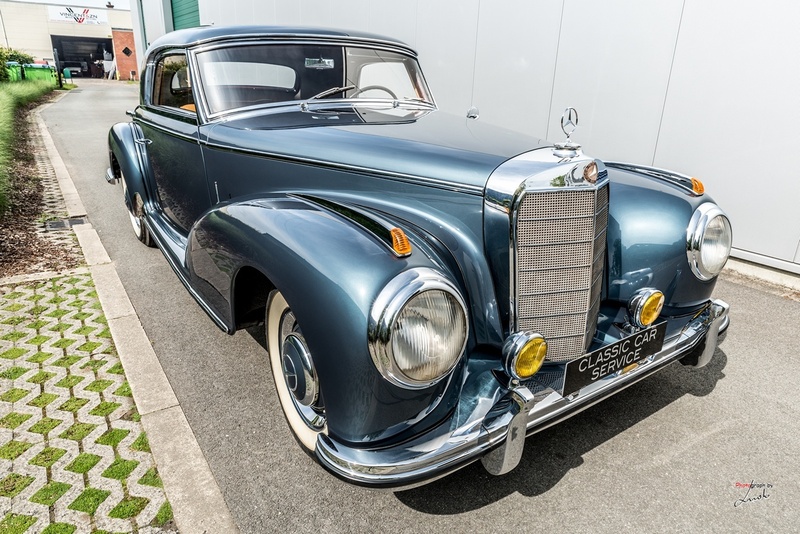 This particular example has been partially restored and looks about as stunning as the day it left the factory, making it a very interesting option for a serious Mercedes collector or any classic car enthusiast who’s looking for something to stand out of the crowd with. There are a lot of unique interpretations of the 911, but this has to be one of the most interesting. 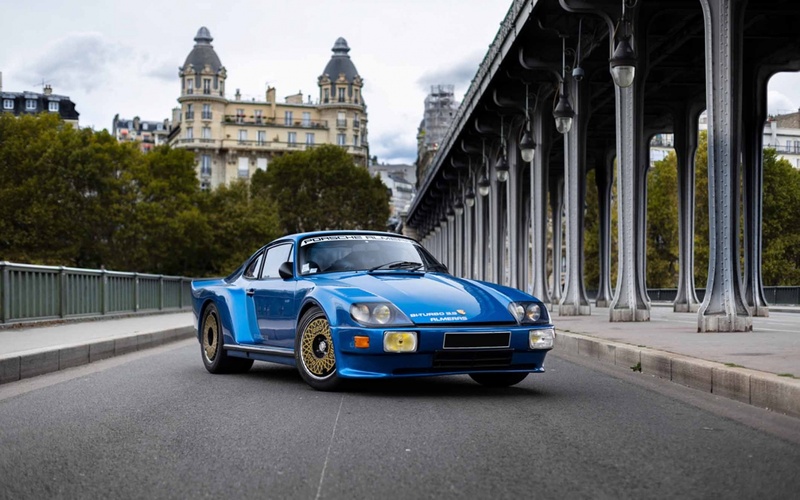 French brothers Jean Marie and Jacques Alméras had a decades long career in racing, so when they decided to take on the 930, the results were dramatic to say the least. This 3.3 biturbo redesigned and re-imagined 911 turned out to be so efficient and so fast that Michelin even borrowed it for tire development. Reminiscent of the 935, the Almerá’s creation is as dramatic as it is desirable. The Quattroporte was always the most accomplished interpretation of a very difficult concept to pull off (even today): the Italian luxury super sedan. While you’re willing to put up with your Italian exotic’s…”eccentricities”, on a sedan which is inevitably a more daily focused car, some level of reliability is required and for Italian cars of this period…that wasn’t the strongest attribute. That being said, the Quattroporte was a strong push from Maserati in a new direction, leading to a model range which endures to this day. 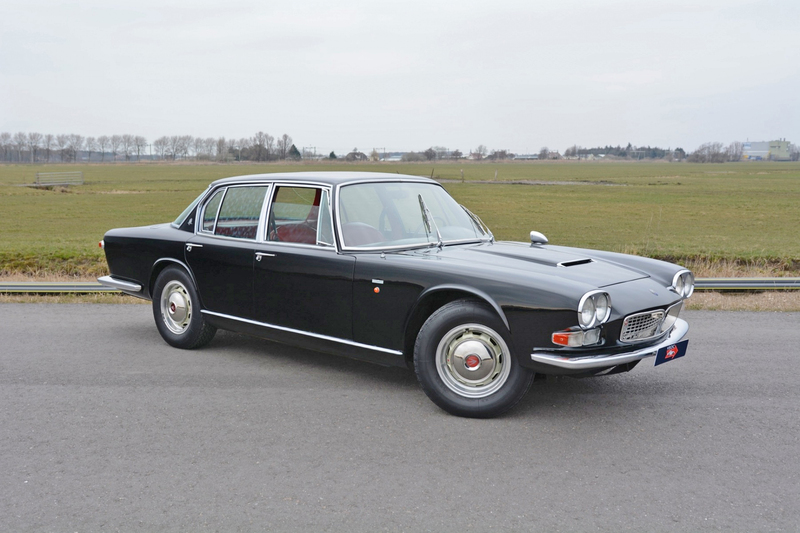 The Series I Quattroporte (1963-1966) is a gorgeous Frua creation with a 4.1L V8 under the bonnet. However, this particular example being offered for sale is a one of one 4.7L first series Quattroporte. Ordered by Italian industrialist and importer Enrico Wax, a Ferrari enthusiast who got very specific with the options when it came time to spec out his Quattroporte, this Maserati is the perfect way to ride in style and comfort. Elegant, glamorous, timeless. Forever to be associated with Sonny Crockett, unlike the Daytona Spyders in Miami Vice though, this one is the real deal: the third one off the line actually. The Daytonas were extremely popular cars for Ferrari. 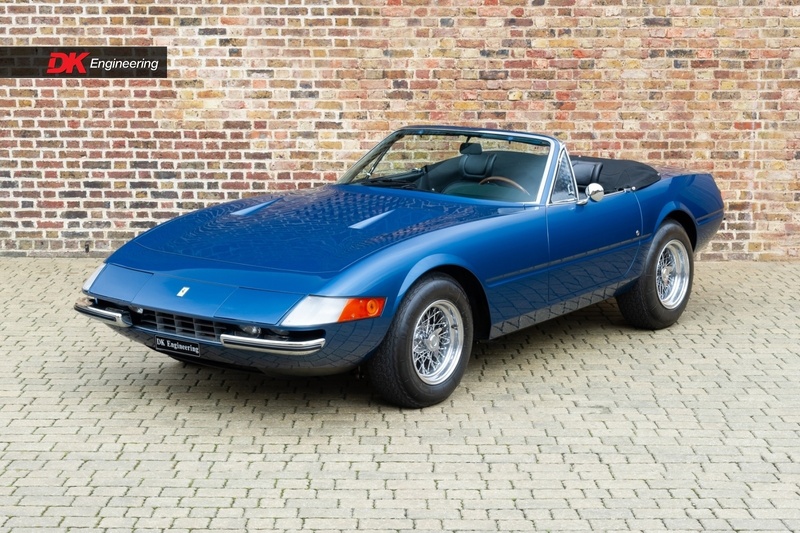 In fact they’re still among the most desirable classic Ferraris you can buy today, so it’s no wonder that the convertible version is well loved too. Because it’s stunning and also because of its – fake – life in the show, the Daytona Spyder has become the dream car for many people. However, its big price tag will keep it exclusively in the hands of just a few lucky ones. The Fulvia is one of the last realistic points of entry into the Italian classics (with legacy) world. Despite its early illustrious career in rallying, later Fulvias don’t demand nearly as much in terms of prices as the earlier HF ones do. That’s understandable, but is a series II 1.3 something to overlook? Definitely not. 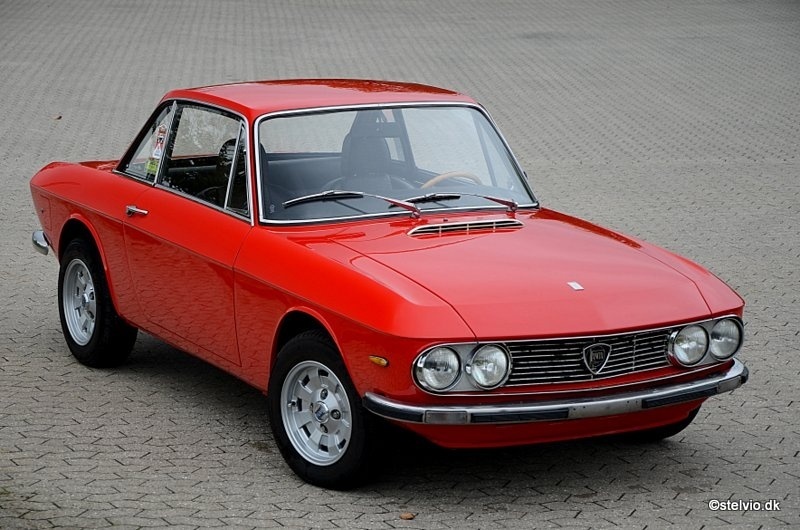 Still beautiful, still fun, still refined through years of competition, at around 20.000 €, a very basic, entry level Fulvia will still deliver the kind of bang for buck you expect out of a vintage Lancia. Have a chance at a 1.3 HF? Go for it. 1.6 HF in your budget? Awesome! If not, the little 1.3 S II will still make you plenty happy. People are still sleeping on the Camargue and that’s a real shame. Once the most expensive car in the world by far, the non Rolls Royce designed Rolls Royce failed to capture a spot in the heart of the brand’s enthusiasts. The Camargue felt like an over the top interpretation, but the radical feel was pretty much just a surface deep thing. Underneath the modern Pininfarina body, the Camargue was just a regular Rolls. You can read more about this fascinating car in a previous AV post here and if you end up feeling like you just need to have one, this example may be a good candidate. 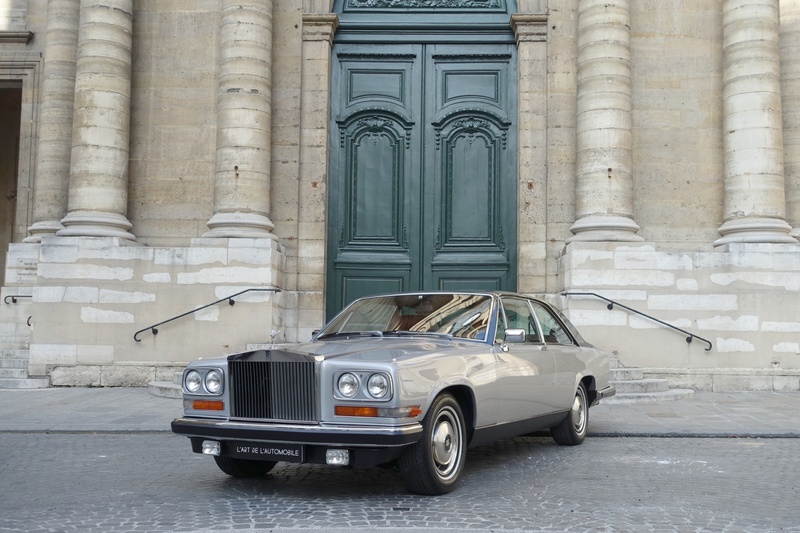 With very significant restoration work done inside and out, this Camargue seems ready to go out and stunt on everybody. Racing royalty. A titan in the automotive world and arguably Ford’s best, more iconic, most influential ride to date: the GT40. This thing is in a class all of its own. Today you can buy a pretty good GT40 replica for a considerable amount of money, but there’s no beating an original car. The example being offered for sale by RMD has very interesting history; not only was it a show car (Brussels 1966), but it was also a camera car for the movie “Gran Prix”. Currently, this gorgeous yellow GT40 has an FIA Historic Technical Passport and is ready to race. It also comes with a spares package and over 500 pages of records.